Find your parking space, set speed boundary alerts, remotely check the status of your vehicle, and call for help. Connect your compatible smartphone via Apple CarPlay or Android Auto to stream your favorite music and make hands-free calls directly from the onboard system. Get real-time traffic, weather, and turn-by-turn directions, so you never have to worry about arriving late again. Drivers can take advantage of available satellite radio subscriptions for access to content nationwide. 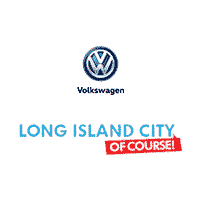 If you aren’t sure which Volkswagen sedan is right for you, browse our inventory of new Passat and Jetta models at Long Island City Volkswagen, or compare the Jetta and Passat, then contact us when you are ready for a test drive!